There is more to fitting a pointe shoe than finding the right shape, though shape is integral. Each part of the shoe should be checked and the overall fit should exhibit certain characteristics. How do you check for these things? How do you start the fitting once you’ve chosen shoes based on shape? First off, you need to get the correct size for the brands you are going to try. The best way to do this is to have your foot measured on a Brannock device. Stand with one foot on the device with the heel all the way against the back, and make sure the feet are parallel. Measure with the weight completely on the foot being measured. Find the appropriate width and arch length. Next, measure with the weight off the foot being measured and note change in width. (This is how you measure metatarsal compression.) Measure both right and left feet because their may be a difference. Now, put on the first pointe shoe you want to try on. Be sure toenails are neatly trimmed and the drawstring is properly pulled and secured. Standing flat, pull slowly and carefully criss-crossing the ends parallel to the floor, not upward toward the knee. When pulling the drawstring, be sure both ends are completely free and that there are no knots. Always pull both ends evenly, so that you don’t lose one end inside the binding. The drawstring should feel snug, not tight, to avoid irritating the Achilles tendon. Tie securely. Stand in second position and grand plié. This will put the foot in its longest position. The toes should just barely touch the end of the box, without feeling crunched or smashed. Set a foot en pointe with no weight on it. You should be able to pinch 1/4” to 1/2” at the top of the heel near the drawstring casing to ensure that there is enough room for the toes when rolling up through pointe and when standing flat. If you can fit a whole finger in the back of the shoe it is too long. If you cannot pinch any material it is too short. Many dancers are fitted in shoes that are too short, and compensate for the discomfort by increasing the width. A foot that is a true wide is the exception. Shoes that are too short and wide cause great pain. Dancers will do almost anything to alleviate it, including wearing padding that only exacerbates the problem. If a dancer has enough room for bulky pads, the shoe is not properly supporting the sides of the feet. Now that you have the correct size in the shoes you are trying on, you will need to check the fitting for proper width, box, vamp and shank. For the box and width: Focus on how your toes and the ball of your foot feel. Are toes held tightly together (no wiggle room) without being pushed on top of each other? With a perfect fit, the edge of the hard part of the box does not show through the satin. The shoe should be snug enough that you can barely slide a finger into the shoe a bit at the top of the foot. If you can fit a finger easily in the throat or sides of the shoe it is too wide or the box is too big. The foot should fit snugly against the top of the shoe. Additionally, the strengthened wing of the shoe should be high enough to just cover the big toe joint, while not restricting demi-pointe. The compressible foot should be fitted carefully and might need a narrow box or a boxliner. Pointe shoes must not be too narrow. Allow enough width for demi-pointe. If a shoe is too tight, the metatarsals and toes may be constricted and unable to move properly. This can compromise fine control of the forefoot. The front of the shoe should be sleek and snug, but not so tight that bunions bulge or the edge of the box digs into the bunion from underneath it. Shoes that are too wide are unsupportive and can cause great pain. Too tight shoes or shoes or those that are too tapered can promote bunions and cut off circulation. Next, check the vamp and the strength of the shank: When on pointe, the foot should be over the platform, not held back, over too far, sinking in the box or popping out of the box. In general, short toes want short vamps, long toes want long vamps. The vamp should be long enough to keep the dancer from popping out of the shoe, but short enough to not restrict demi-pointe. A less flexible ankle is often helped by a shorter vamp, but make sure knuckles and bunions are totally covered. Dancers who go over too far despite deep vamps and straight, stiff shanks should try vamp elastic. If the shank twists noticeably away from the sole of the foot, check the dancer’s alignment and be sure the shoe is not too narrow. In general, the lighter and more flexible the shank, the easier it is to roll through demi-pointe and to get over the platform. Flexible shanks allow a dancer to achieve a higher demi-pointe before attaining full pointe, and they readily conform to the foot. They are beneficial for less flexible ankles. Professionals often prefer softer shanks because they can better control their shoes. Firmer shanks may be necessary to prevent a dancer from going over too far, which can overstretch the ankle and hinder placement. 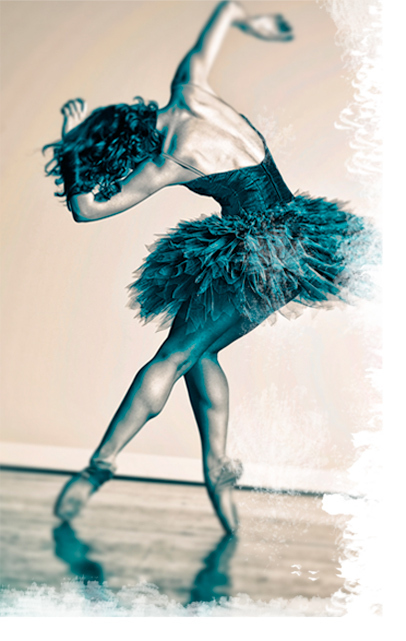 Harder shanks are required by dancers with highly arched feet and by those who are tall and big-boned, but they give more resistance in rolling through demi-pointe. In part two of this article, we’ll finish up this fitting and talk about toe pads.